Plumbed Down: Four Amazing Tales of Moral Heroism you Probably Don’t Know About. Four Amazing Tales of Moral Heroism you Probably Don’t Know About. Morality is a strange concept. What makes someone good, or right, in one society might make him or her an outcast in another. The ability to stand against the masses, and make a statement you know to be true and right in your soul, without fear of persecution, judgment, or punishment, is often what separates the wheat from the chaff. And many of us don’t like the chafing that comes from these stands, and others seem to have a gluten allergy from forming any discerning viewpoint whatsoever. Our nation struggles to find morality in anything anymore. And it shows in our nut-jobs. Every nation has nut-jobs; but America seems to have more than average and ours tend to make hugely immoral mistakes. Wisconsin and Colorado are just the two latest states to be stung by morally inferior humans pretending to be heroic; What can be done to stop these type actions? Maybe we should start by actually praising real heroes. The following are four stories of real humans making moral stands who should be remembered along with MLK, Gandhi, Oskar Schindler, Mother Theresa, and the like, for the moral superiority they showed in the face of unpopular and/or life altering circumstances. The 1972 Munich Olympics are infamously remembered because of the massacre of 11 Israeli athletes by a terrorist group, but it was not the only injustice of that years Olympiad. The 1972 men’s basketball team was not filled to the rafters with future NBA HOF players (the most notable, is probably Doug Collins, current coach of the 76ers), but it does have the distinction of having the most conscientious ballers to ever don the red, white and blue. After both the U.S. and Soviet Union breezed through their respective brackets, they faced off in the finals for the fifth time in six Olympic games (the U.S. victorious in all previous occasions). This Soviet team was different, though, as they had played over 400 games together, and were much taller than the group of collegiate-only players on the U.S. squad. Long story short…the Americans made an incredible comeback, taking the lead on two free throws with 3 seconds remaining. The Soviets in-bounded the ball twice (with a timeout in-between), before the buzzer sounded. American victory…wait, not so fast…put 3 seconds back on the clock for a third time. A long pass, a Soviet lay-up, and wow…the Soviets win. All 12 Americans refused to accept their Silver medals, or take part in the podium ceremony after their official protest was denied. Cold War politics, and good old-fashioned Olympic corruption rewarded the Soviet team with two extra chances to win the game, and wear the gold medal. To this day, the 12 unblemished, unclaimed silver medals are stored in the same Swiss vault as thousands of morally unscrupulous trophies earned via corruption and greed. Forward, Mike Bantom, explains his moral dilemma, "If we had gotten beat, I would be proud to display my silver medal today. But, we didn't get beat, we got cheated." Three years earlier, in 1969, our friends the Soviet Union are again the antagonists in a tragic episode that ended up becoming a rallying cry for opposition to Soviet interference in Czechoslovakia. University student, Jan Palach, made a pact with others to burn themselves to death in protest to the demoralizing occupation of their homeland by the Soviet Union. While normally, suicide, even under the guise of self-immolation, is on my list of non-heroic, extremely selfish acts; this story has a different outcome, as his martyrdom, inspired an underground revolution. Palach actually survived for three days, and publically denounced his methodology, citing its (being burned alive) incredible pain. Still, 26 other Czech citizens attempted suicide (7 died) as an act of protest to the hostile and inhumane lifestyle that Communism and Soviet living offered, during that Prague Spring. While they did not win independence, or continue any of the reforms sought by the Prague Spring, it did inspire individuals to stand up to faceless regimes. 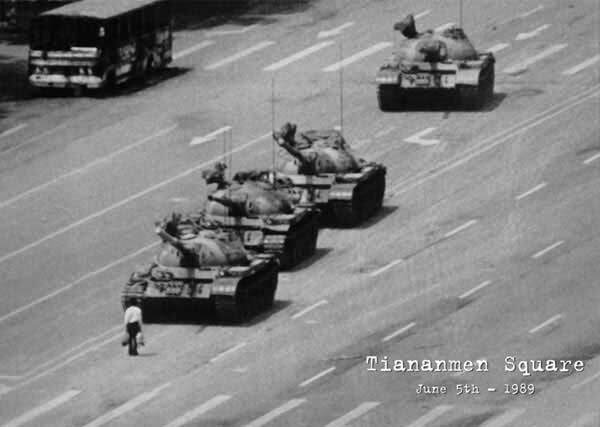 The Chinese student at Tiananmen Square, The Polish dissident movement Solidarity, and countless others stood up, even to advancing tanks and certain death. One cannot have a discussion of moral uprightness without mentioning those who objected to the Nazi regime. Again, we are back in Munich, this time in 1943, where college siblings, Sophie and Hans Scholl began to see and hear about the atrocities that the Nazi government was doing across Europe to Jews and prisoners of war. 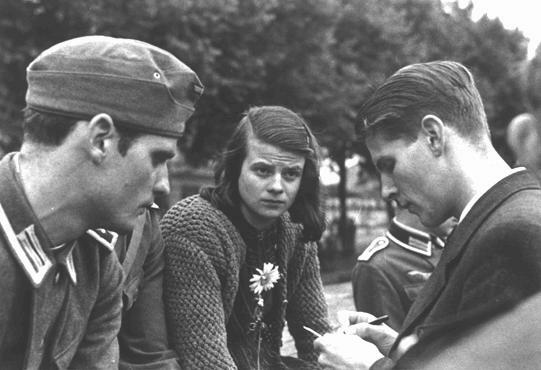 No longer complacent to look the other way, they started a series of resistance leaflets under the title, White Rose (which stands for purity and innocence), where they used famous anti-Nazi sermons and religious denouncement to condemn the actions of the Nazi party. After six such transcripts went out, they were captured, tried, and put to death by the Gestapo’s guillotine. Sophie, a spitfire until the end, said this in her trial, “How can we expect righteousness to prevail when there is hardly anyone willing to give himself up individually to a righteous cause. Such a fine, sunny day, and I have to go, but what does my death matter, if through us thousands of people are awakened and stirred to action?” Even as their whole movement had been snuffed out, their message still snuck out, as Allied airplanes dropped their messages by the millions to the morally veiled Germans below. Sometimes, only in death, do we succeed. Now to our own neck of the woods. The 1960s were a radical decade that saw many changes to the status quo that we all celebrate as normalcy today. It came at a heavy cost, especially to those of color in the South. As segregation raged in the heart of Dixie, black civil rights leaders openly challenged the Southern value structure by sitting-in at “white only” diners, riding on buses, and going to “white only” theatres. James Zwerg was white. He grew up in an all-white community. Yet he was inspired by his faith and civil equality, and wanted to confront the actions of “Christians” in the South, who were practicing nothing other than pure hatred and bigotry. He joined the Student Nonviolent Coordinating Committee (SNCC), and within a year was on one of the notorious buses headed to Birmingham. He was the only white man. I don’t mean this to celebrate him over the many heroic actions of black civil rights leaders, martyrs, and victims; but more to point out, this was not his fight. He had nothing to gain by going on this bus ride; and everything to lose. And he nearly did. He had already taken a monkey wrench to the head for walking into a theatre with a black man. As for his bus ride, he was scared, but said at the time, “My faith was never so strong as during that time. 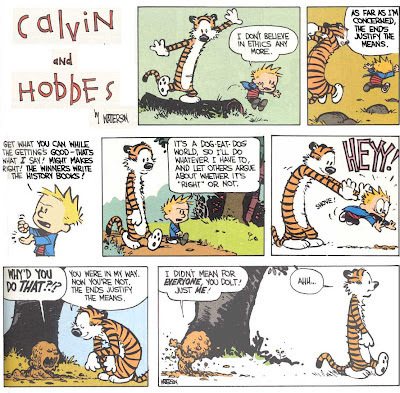 I knew I was doing what I should be doing." The bus was ambushed. A local group of clansman beat Zwerg with baseball bats and lead pipes before leaving him for dead. The local police did not intervene. No ambulance would pick him up. Black locals drove him to the hospital, where he lay unconscious for two days. 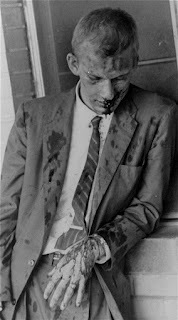 Beaten, bloody, less five teeth, and in no shape to give an interview a few days later, he said he was filled with peace from God, and that the fight must continue: "Segregation must be stopped. It must be broken down. Those of us on the Freedom Ride will continue.... We're dedicated to this, we'll take hitting, we'll take beating. We're willing to accept death. But we're going to keep coming until we can ride from anywhere in the South to any place else in the South without anybody making any comments, just as American citizens." What these four stories tell us, are that making a moral stand might get you beaten, bruised, forgotten, burned, tried, judged, or executed. 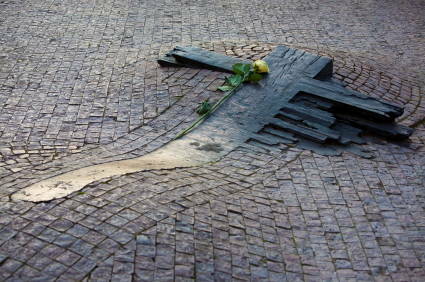 Your body can be dug up and moved, like Jan Palach so that you won't be remembered or idolized. You may never get your Medal of Honor or gold medal you rightfully earned. You might become the black sheep of the family, like Jim Zwerg, despite your heroism. A moral protest is a completely selfless action that can push society the last millimeter necessary to invoke a change. A selfless action that can hurt physically, but in exchange for a greater good and the potential to give relief, or even life to others. And a moral action never violates another human being. Maybe if some of those of my faith would stop using morality as a reason to judge, hate, or victimize other human beings, we might be able to do something about all this perceived immorality out there. And maybe if our nut-jobs saw more actual heroes on local television and in the movies, instead of these glorified vigilantes toting WMDs, we might inspire them to do something productive for America, instead of always giving us a reason to mourn. Amazing article. Keep them coming! Heros are not always winners (in the Nike sense) . . . only sometimes. Therefore sometimes heroism is recognized and celebrated. Great stories. 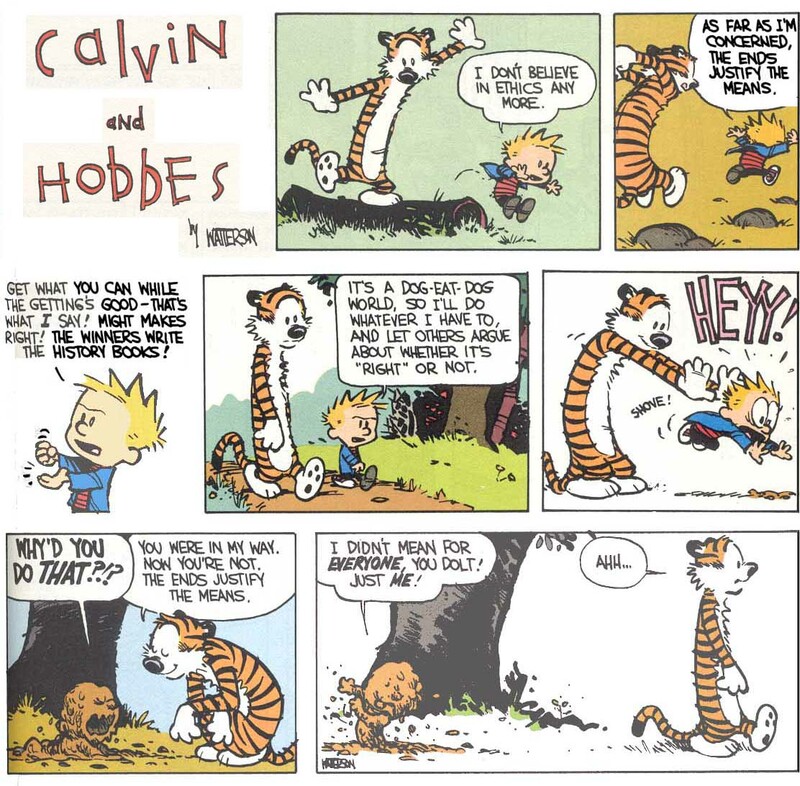 Sometimes all we have to do is look around ourselves for the little acts of heroism that occur every day - not that any of those you describe are in any way 'little'/. Thanks for bringing to light heros our history books fa to discuss.